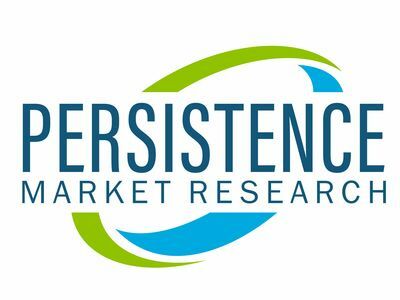 NEW YORK, April 10, 2019 /PRNewswire/ -- According to a recent research by Persistence Market Research (PMR), the global bone void fillers market is likely to expand in terms of revenue at a healthy CAGR of 5.3% during the forecast period 2018-2028. Increase in prevalence of orthopedic disorders such as spinal injuries, spinal deformity, and osteoporosis is among the primary factors contributing to the growth of the bone void fillers market. Geriatric population has been expanding rapidly and is expected to account for over 20% of the global population by 2050. The subsequent rise in prevalence of orthopedic conditions will boost the bone void fillers market in the near future, according to PMR's report. In addition, increase in the instances of trauma cases, lifestyle-related diseases, and other chronic disorders will continue to boost the number of orthopedic surgeries worldwide, propelling sales of bone void fillers in the upcoming years. Approximately one in seven people suffers from orthopedic impairment issues, favoring the demand growth of bone void fillers. An average orthopedic surgeon performs 29 procedures each month, predominantly in the sports medicine sector, followed by hand surgery and joint replacement. Introduction of technologically advanced products continues to significantly accelerate the shift towards orthobiologic products such as bone void fillers. Increase in the number of accidents and sports injuries is boosting the number of bone fractures, which is also expected to propel the demand for bone void fillers. Fractures are the second most frequently occurring sports injury in the US, for which bone void fillers are widely used. Fractures, followed by dislocations, account for around 20% of the overall sports injuries in the US alone, pushing demand for bone void fillers. In the European countries, a majority of sports injuries have been leading to bone fractures, creating significantly high demand for bone void fillers. Approximately 14% of medically treated injuries are related to sports, in European countries, and the most common chronic sports injuries are underpinned by strains and stress fractures. This, according to the study, is another factor boosting the bone void fillers market growth. The demineralized bone segment is the leading segment in terms of revenue by material type in the bone void fillers market. Tricalcium phosphate is the most widely used material for filling the gaps of fractures. By form type, the paste and putty segment collectively holds more than 50% share in the global bone void fillers market value. Among all end users of the bone void fillers market, hospitals remain most lucrative, followed by ambulatory surgical centres. North America is a prominent region in the global bone void fillers market, followed by Europe and East Asia in terms of revenue. China, India, and Brazil are also emerging lucrative in the bone void fillers market, as per the study. India is among the fastest-growing, highly attractive investment pockets for bone void fillers manufacturers and will expand at an impressive, double-digit CAGR over the forecast period, 2018-2028. The bone void fillers market report tracks some of the key companies operating in market, such as Johnson & Johnson, Heraeus Holding, BONESUPPORT AB, Wright Medical Group, Inc., Medtronic plc, Zimmer Biomet, Graftys, SBM France, Stryker Corporation, Bone Solutions Inc., Integra LifeSciences Corporation, HOYA Corporation, Orthorebirth Co. Ltd., Exactech Inc., 3-D Matrix, Arthrex, Inc., K2M Inc., B. Braun Melsungen AG, OsteoMed, RTI Surgical Inc., NuVasive, Inc., and Smith & Nephew plc. Most of these companies are focusing on improving outreach to emerging markets by strengthening distribution channel in rapidly developing economies such as India, China, and Brazil. Persistence Market Research (PMR) is a third-platform research firm. Our research model is a unique collaboration of data analytics and market research methodology to help businesses achieve optimal performance. To support companies in overcoming complex business challenges, we follow a multi-disciplinary approach. At PMR, we unite various data streams from multi-dimensional sources. By deploying real-time data collection, big data, and customer experience analytics, we deliver business intelligence for organizations of all sizes.